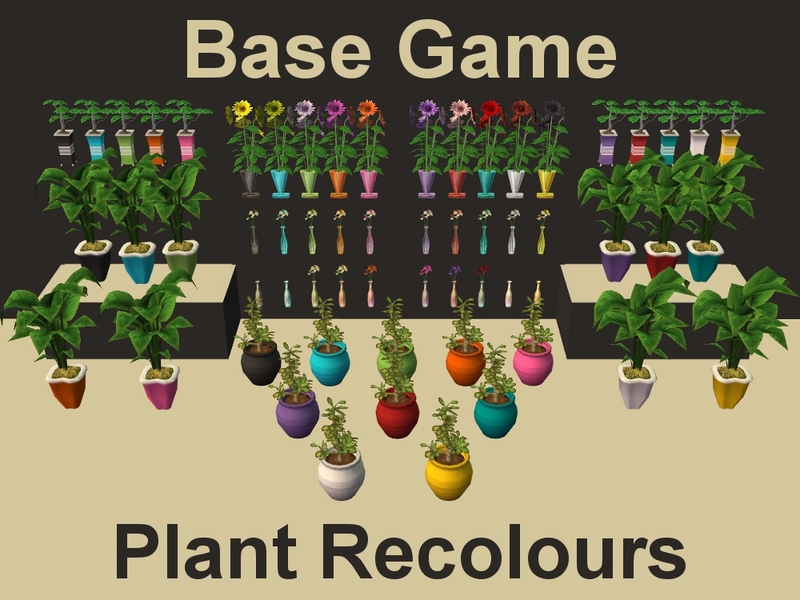 Part 1 of the Base Game Plants in LACK colours. 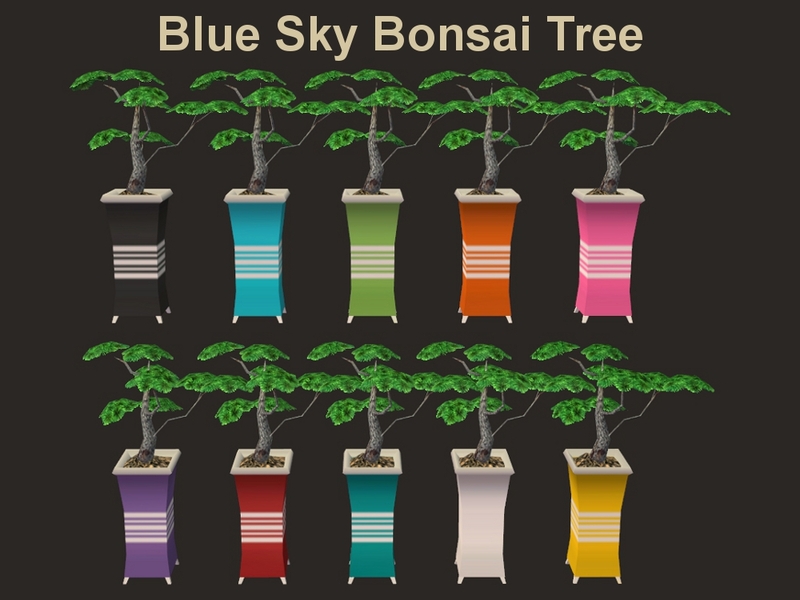 The Sunflowers, Rubber Tree Plant, "Blue Sky" Bonsai Tree, The Simulated Succulent and Frost de Fleur Bud Vase. 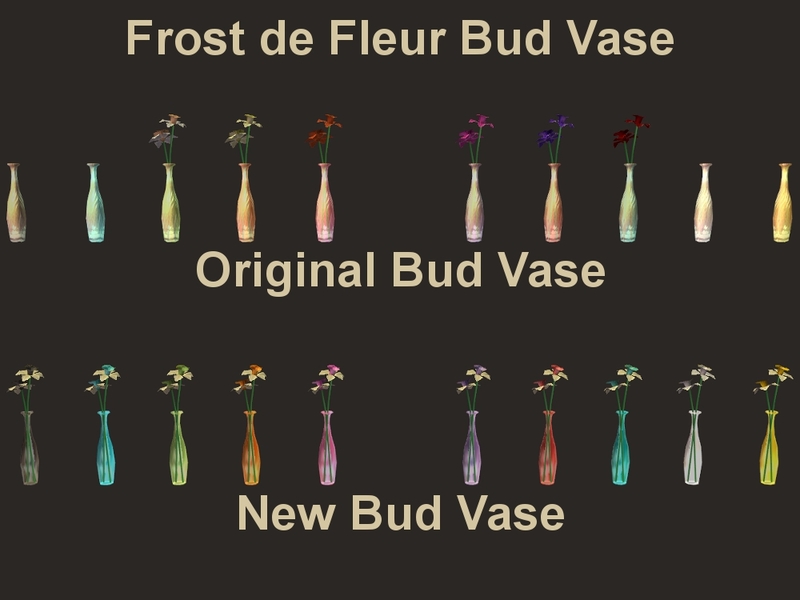 After 2 days of trying to recolour the Frost de Fleur Bud Vase, I decided it was never going to look any good...so I made a new bud vase. 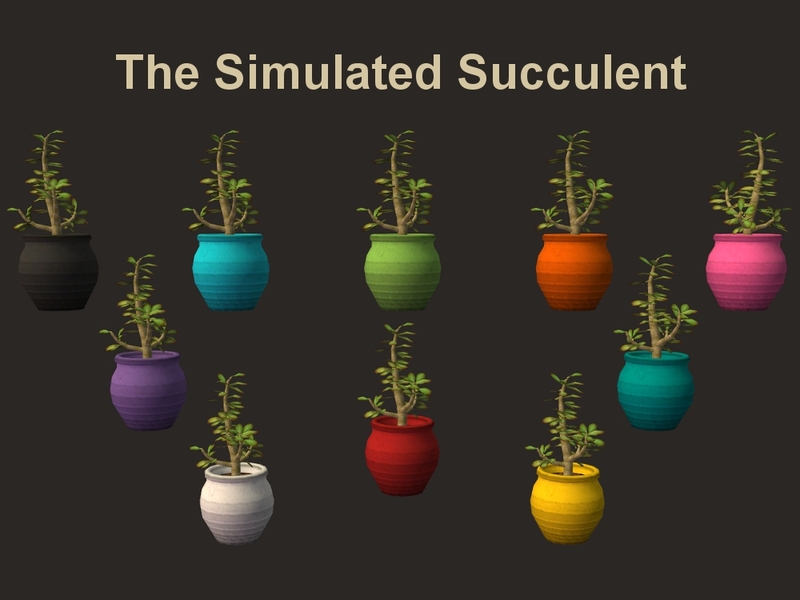 Now this gets a little complicated, to cut down on custom content in your game and using the repository technique, I slaved the Flowers to the Frost de Fleur Bud Vase and the Vase is slaved to the Sunflowers. 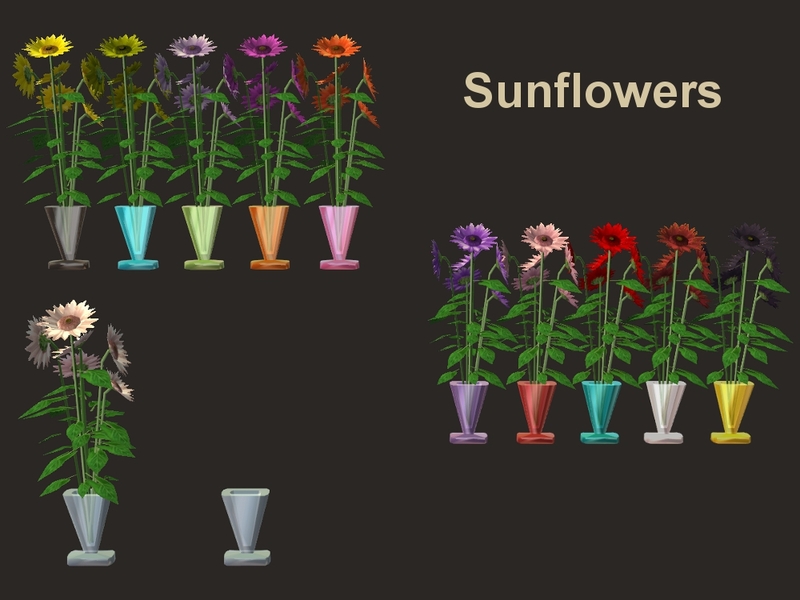 I also threw in an invisible recolour of the Sunflower and Frost de Fleur flowers, not the vases. These are all base game compatible, no EP's or SP's required! Found: Buy Mode > Decorative > Plants. Price: §99. Found: Buy Mode > Decorative > Plants. Price: §30. 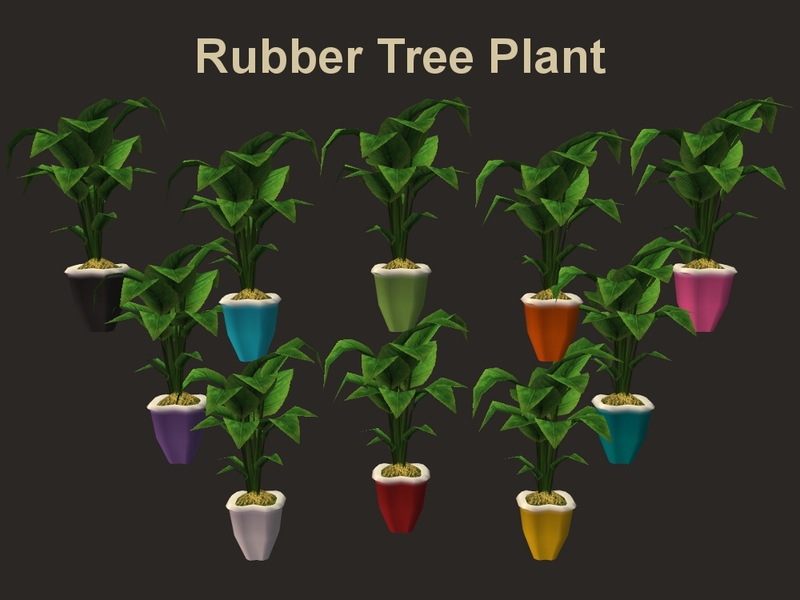 Found: Buy Mode > Decorative > Plants. Price: §165. Found: Buy Mode > Decorative > Plants. Price: §45. Found: Buy Mode > Decorative > Plants. Price: §160. 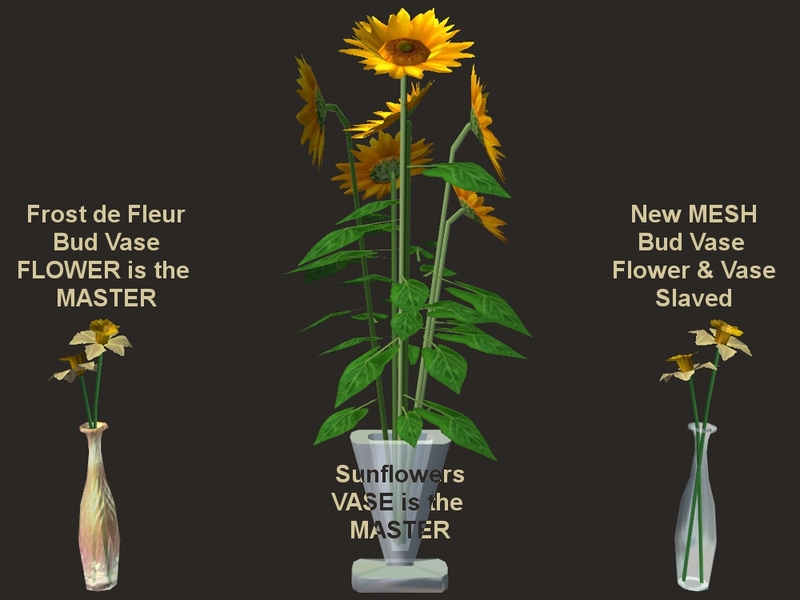 Bud Vase: MESH - Vase Slaved to the Sunflower Vase and Flowers Slaved to the Frost de Fleur Bud Vase. Cloned From: Sunflowers. Room Rating: 1. Subsets: 2 - Flowers & Vase. Poly Count: 584. 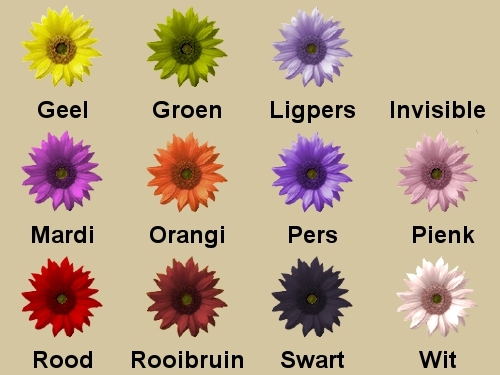 Alpal425 for requesting these recolours.